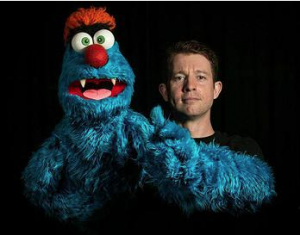 This entry was posted in 2016, 5 for 35, Australia, Balderdash Puppets, Brisbane, Brisbane entertainment, children's entertainment, Cluck! The Web Series, East Brisbane, Film, Happiness, Heart of a Thousand Souls, Hobble & Snitch, Impro, Improv, Juiced TV, kids' entertainment, Kooma People, Lady Cilento Children's Hospital, Larrikin Puppets, Murra Murra, public puppet shows, Puppet MC, Puppet Shows, Puppeteer, Puppetry, Richard Bell, Sam Ham, Sam the Ham, Thank Troggg You're Here, The Hobble & Snitch Show, Troggg, Troggg the MC, TV by Brett. Bookmark the permalink.